Welcome to The Learning Tree Preschool. 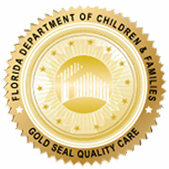 We are a full-service preschool center committed to meeting the needs of children and their families. The Enrollment Application below contains all of the state required paperwork that is to be completed prior to enrollment. In addition to these forms, you will be required to obtain the Physical Examination Form #3040 and the Immunization Form #680 from your pediatrician. If you contact them and tell them that you need the “Blue and Yellow” forms for preschool, they will know exactly which forms you need. After completion, bring all three forms to our preschool when enrolling your child.